Architect Nathan Clifford Ricker completed this residential Urbana building in 1892. Designed by the famous Nathan Clifford Ricker, this was the only residential house he ever designed throughout his career. Nathan Ricker made a name for himself by becoming the first licensed American architect and went on to become the Head of the Department of Architecture at his alma mater, the University of Illinois. 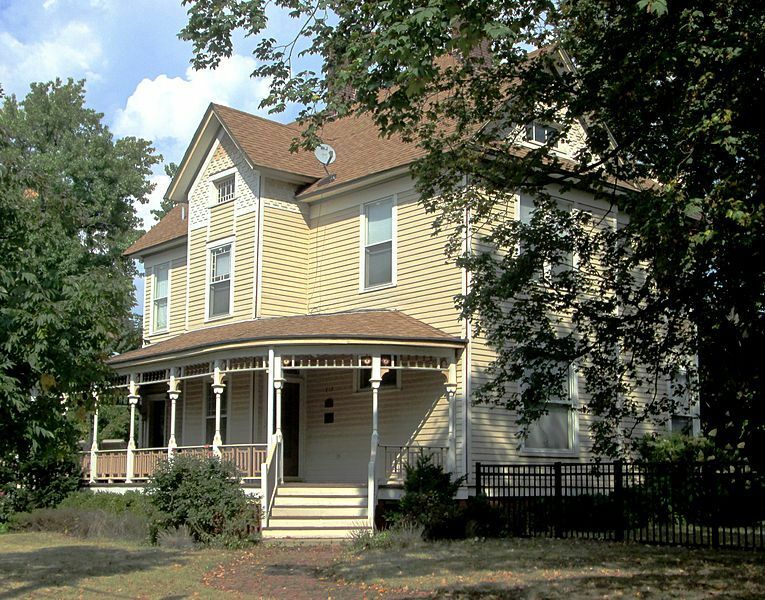 In 1995 the house faced the fear of being demolished to create space for an apartment complex, but instead the Preservation and Conservation Association of Champaign County bought it to be restored. When it was claimed by the National Register of Historic Places to be worthy of preservation in 2001, PACA sold the house. In 2008 it was purchased for $268,000 and it is still a single family residential home just off of the University of Illinois campus. Holding the power to design his house, Nathan Ricker designed an extravagant Queen Anne style house in 1892. During the 1880s and 1890s, the Queen Anne style was the most popular. This popularity went hand in hand with the rise of the industrial revolution that enabled the use of new technologies to design factory made parts. The distinguishing characteristics of the house include turrets and large front porches. Even though the Nathan Ricker house does not contain the turrets that were a symbol of the Queen Anne symbol, it did fall in the category due to the small detailed ornaments, multiple uses of wall surface material and iconic front porch. 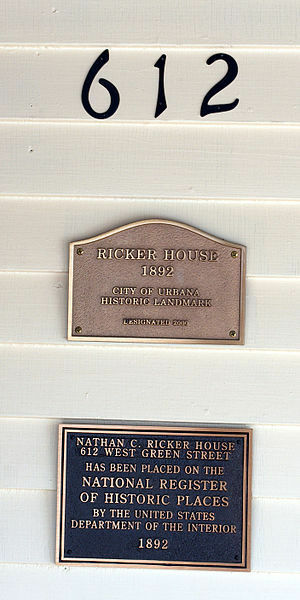 The Nathan Ricker house is a two story residential home for Nathan Ricker himself. It was designed to be a home for his family, as well as having an office for him to work in. Nathan Ricker was not part of an architectural firm. After graduating as the first person to earn an architectural degree in the U.S. on March 12, 1873, he became a professor at the University of Illinois. He was then appointed the Dean of the College of Engineering as well as serving as the University architect. 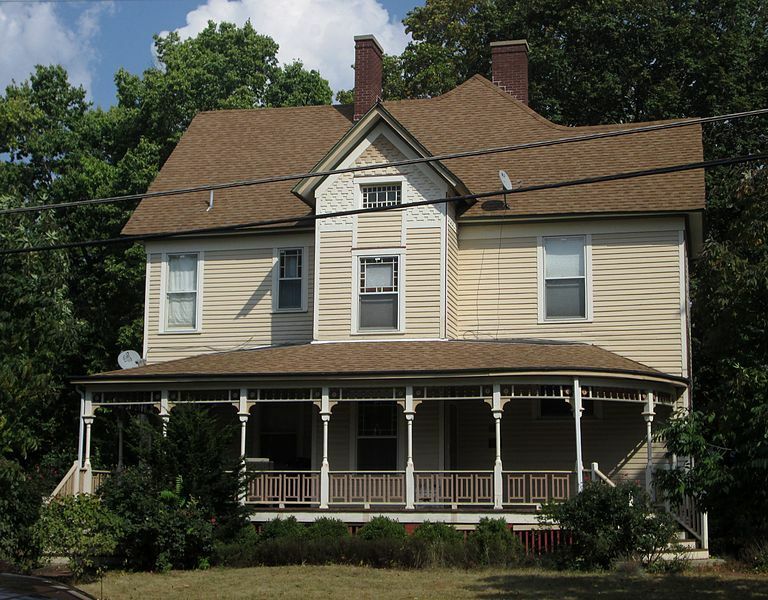 Schapen, Michael and Eddie Reinfrack, “Nathan Ricker House,” ExploreCU, accessed April 18, 2019, https://explorecu.org/items/show/303. "Nathan Clifford Ricker." Wikipedia. Wikimedia Foundation, 13 Nov. 2013. Web. 19 Nov. 2013. "Urbana (IL)." Google Books. N.p., n.d. Web. 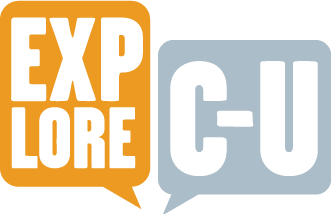 19 Nov. 2013.